After three good days at Camping Rio Nela, including the P600's of La Tesla and El Cueto, not to mention England beating Columbia on penalties to reach the last 8 of World Cup 2018, it is finally time to head further south. 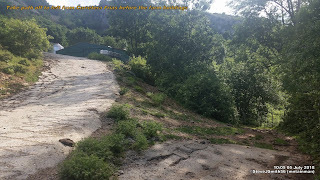 But first I am going to stop off for La Cotorra - The Parrott, the third P600 which can be reasonably reached from this fine campsite. 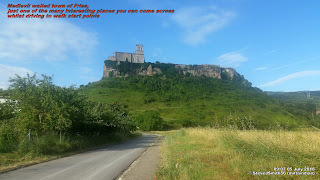 On the way I came across what looks to be the interesting medieval village of Frias. Looks like there is a castle, church, walled town and possibly a convent all set in spectacular scenery, but it is going to have to wait until I am joined by Gina. 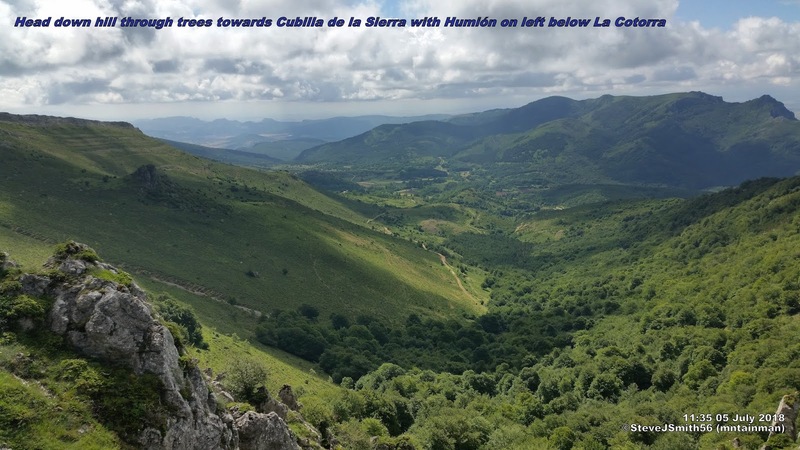 Because I am on the move today I have decided to take the easy option and approach from the east after parking in the the isolated village of Cubilla de la Sierra. On arrival I ask a local if it was OK to park in the main square and once again proved a good test of my limited Spanish, Also once again the guy was only too pleased to help, including taking the time to show me his US army jeep which I think he was offering to get out and take me up the route he was trying to explain. The plan was to walk up to the farm NE of the village and find access to the east ridge from there. 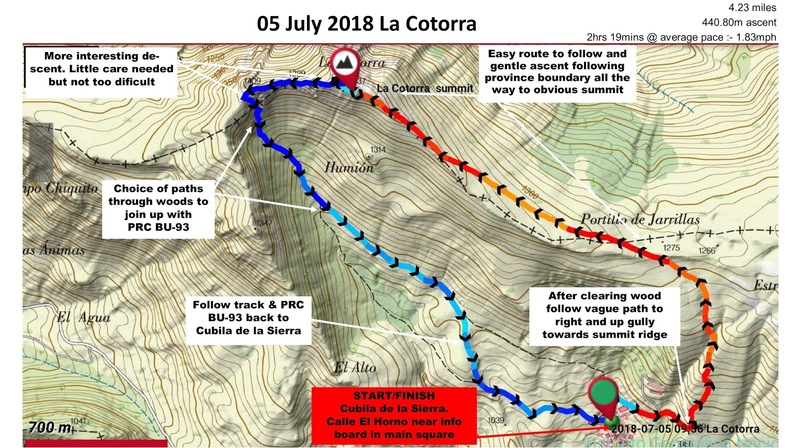 The information gleaned was to fork off the access track to the farm early and loop round to the east of the farm heading for the summit ridge then following an easy route all the way to the summit. 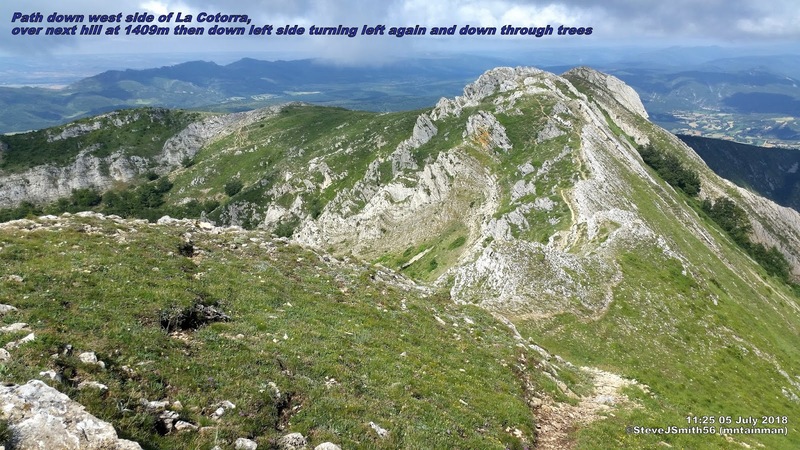 Taking this advice and following the vague path on the ground up an easy gully I soon reached the ridge and followed the province boundary that looked to be marked with trees at regular intervals. Two guys appeared in front of me from the right just before the summit which suggests there is an access route from the north starting probably from Orbañanos. As they seemed to hang around the summit for ages I decided to bypass it and head for the 42°44' 06''N, 03°11'42''W given in www.peakbagger.com. This appeared to be still within the 1470m contour ring but approx 75m from the summit near the large pylon supporting a cross over a pillar - 42°44' 04.652''N, 03°11'40.124''W. As expected the ascent was easy and really I should have gone back that way. However spotting an interesting path down craggy terrain at the west end and also seeing the wooded valley bounded by the summit horseshoe with El Alto south of La Cotorra I decided to make it a circular route returning back to Cubilla de la Sierra via the SLC-BU 93. A little more demanding than the ascent but nothing too onerous.